Yes, that's Easter that is showing up at the tail end of your March calendar. It's the most movable of all our holidays. Most of the others, we have committed to memory. December 25 and July 4, of course, are static. We also know that Thanksgiving is the fourth Thursday in November. Labor Day, the first Monday in September. Martin Luther King Day comes around the middle of January. Flag Day is June 14. Halloween, October 31. That's the "little stinker" of holidays. Sometimes it's in March, most times April. And when it is in April, it's all over the map. One of the first things I do when I check out at the calendar every year is look up when Easter is. This is one of those unusual years when Easter falls in March. But why? You may or may not know this, but Easter is determined by the spring equinox. 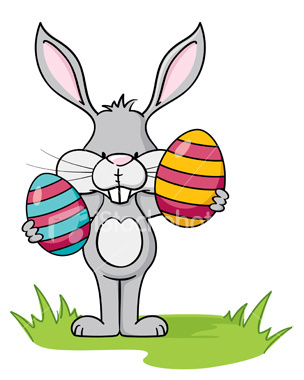 Basically, Easter is the first Sunday after the first full moon on or after the spring equinox (March 21). Kevyn Orr is just like any Washington, D.C. bankruptcy attorney who is black, who has a strong resume, and who oozes confidence. Except that he's been plucked from the vine to save a city that some say is beyond saving. Orr is Detroit's new Emergency Financial Manager (EFM). He is unique in that, while he's a bankruptcy lawyer and has been a part of many such restructurings, he actually would prefer not to lead the city into bankruptcy as a way to cure what ails it. "Frankly, I'd like to avoid it," Orr told the Detroit News' Nolan Finley. "Bankruptcy can certainly have benefits to what the emergency manager would have to do, but I would like to think of that as a last resort as opposed to a first option. No, I don't think we're inevitably headed to bankruptcy, but people have got to be realistic, reasonable and focused on changing the architecture of the finances of the city so they can go into a sustainable model for the future." Carl Levin never shortchanged Michigan. In an ever-growing world of political cynicism---both from the constituents and from the lawmakers themselves---it was good for Michiganders to know that Levin, the six-term U.S. Senator who won't seek a seventh, was on the job. He may go down as one of the best, most effective senators ever to represent the great state of Michigan. Hell, he may be the best. I used to think that no one would eclipse Phil Hart in that category, but Levin has changed my mind after well over 30 years on the job. Levin won election in 1978. It was the Republican Bob Griffin whose seat Levin won. Griffin initially didn't seek re-election but then changed his mind. But it was too late; Levin wasn't to be denied. It was Levin and Don Riegle in those days---two Democrats who were progressive, young and determined to make their mark in Washington. Riegle had won Hart's old seat, in 1976. For the protectionists and paranoid who live in Detroit, these aren't the best of times. How can they be, when it looks like Michigan Governor Rick Snyder will announce that the city will be cast under the spell of an Emergency Financial Manager (EFM), and a (gasp!) white man is running for mayor, and might be the frontrunner? Both of these have happened in the same week. Mike Duggan announced his mayoral candidacy, officially, earlier in the week, and Snyder's announcement is expected two hours from now, as I write this. This has to make the "stay in your own lane" Detroiters' insides gnarl up. A few weeks ago, a letter writer from Detroit wrote to the Free Press and wondered why those of us in the suburbs care so much about Detroit. "I don't care about Troy or Bloomfield," the writer said. Then the writer asked us who would reach out to help Detroit to "stay in your own lane."